Don Waligroski took part in AMD Meet The Expert webinar to talk a little about Threadripper. Here are the most interesting highlights from this Q/A session. All quotes are from Don Waligroski. Earlier today AMD made the first public showcase of upcoming HEDT platform called Ryzen Threadripper. A giant leap for AMD was already met with a response from Intel with the announcement of 18-core i9-7980XE CPU. A huge unnamed chip showcased by Jim Anderson will feature up to 16-cores and 32-threads. 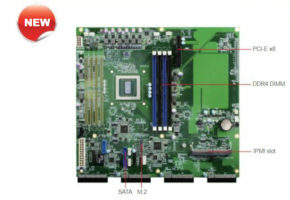 It will utilize new X399 platform and LGA socket. 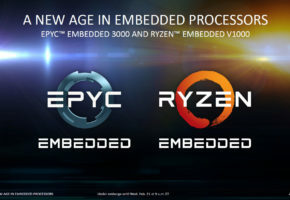 AMD took Intel by surprise, even the announcement of 7980XE CPU was kept a secret until the very last moment and even now official documents are filled with mistakes, which only proves that Intel Core i9 series were prepared in a rush. 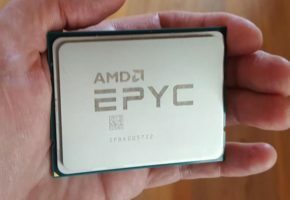 AMD team, however, is taking their time to deliver the new platform. It is officially coming this summer, probably around August to accompany Radeon RX Vega. The highest end CPU will have 40 MB of CPU cache. I don’t think this was made public before, but according to this slide, AMD Threadripper will have 40 MB of CPU cache. Every Threadripper has 64 PCIe Gen3 lanes with 48 PCIe lanes dedicated to graphics cards. Whether you buy the lowest-end Threadripper or highest-end Threadripper, you gonna get those PCIe lanes and you will always get 48 PCIe lanes dedicated to multiple graphics cards. So really impressive spec that we don’t cripple artifically for you if you go with Threadripper platform. Every Threadripper has quad-channel memory support. Once again, doesn’t matter you can buy the lowest-end Threadripper and you gonna get that quad-channel memory, that really fast DDR4 support. Later in the session, Don promised that Ryzen Threadripper will benefit from Ryzen 5/7 memory compatibility updates. Threadripper will be using a socket called TR4 essentially it’s very similar to the higher-end server socket, but it’s not compatible, so you can’t put EPYC CPU into Threadripper platform […] I think it might even have the same number of pins, it’s a very similar socket. I see there are some questions about TDP, once again we can’t really speak any specifics other than what we released already […] but I think you will be pleased, very competitive TDPs.